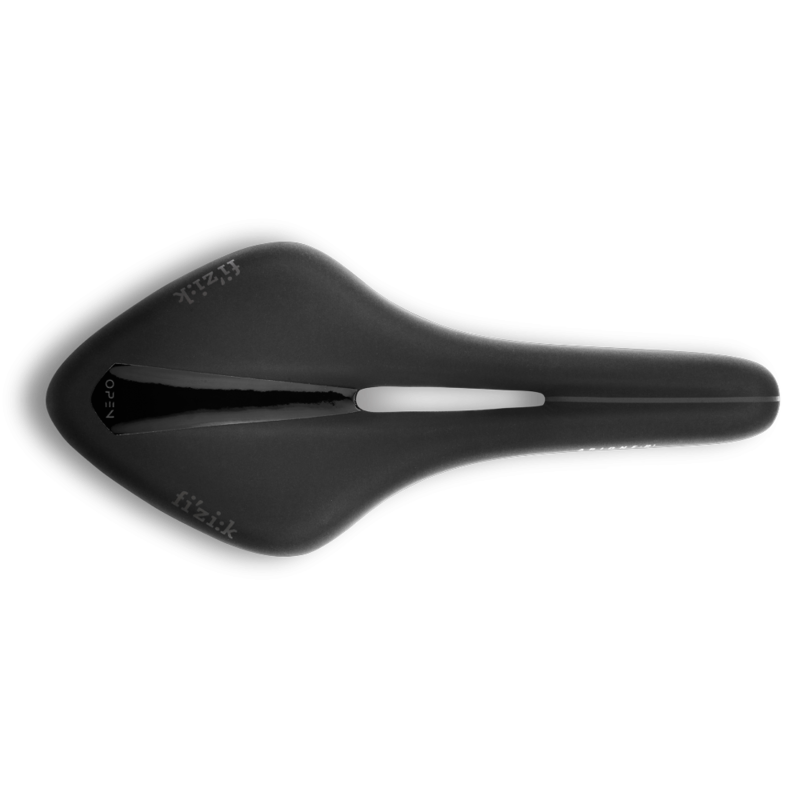 With an anatomic cut-out shape and advanced technology, materials and craft, Arione R1 Open is a leading performance road saddle for riders who want a flat saddle profile and a cut-out to avoid pressure and numbness. 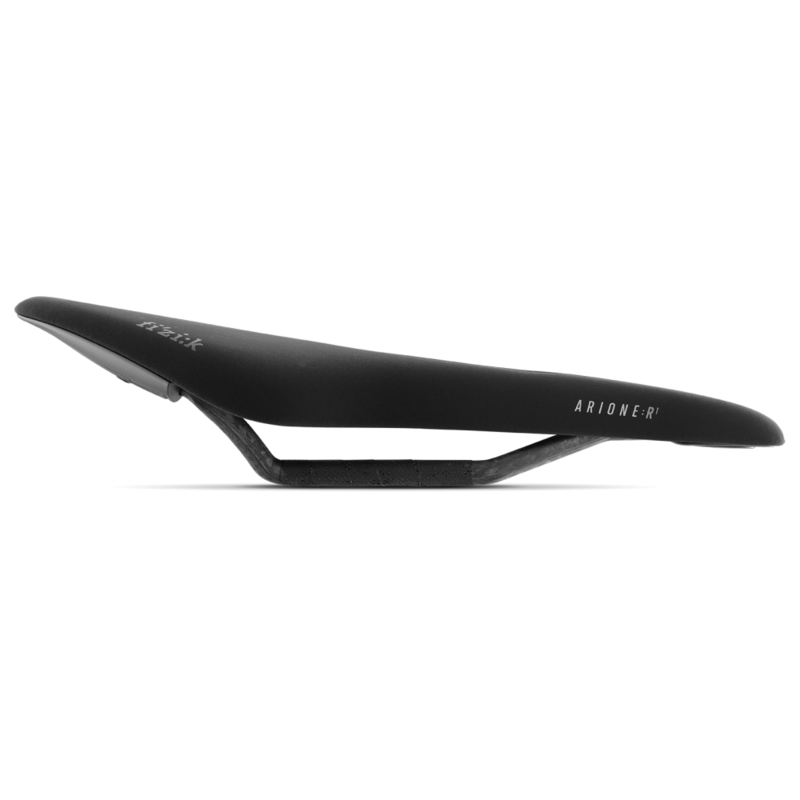 Made for Snake riders with high body flexibility and no pelvic rotation while pedaling, the Arione is longer than any other fi’zi:k road saddle, flat from nose to tail and with a narrow nose, so you can move around to find your power spot. The Regular model is the narrower of our two options. Arione R1 Open features a composite Carbon-reinforced nylon shell and a light, strong, Braided Carbon rail. 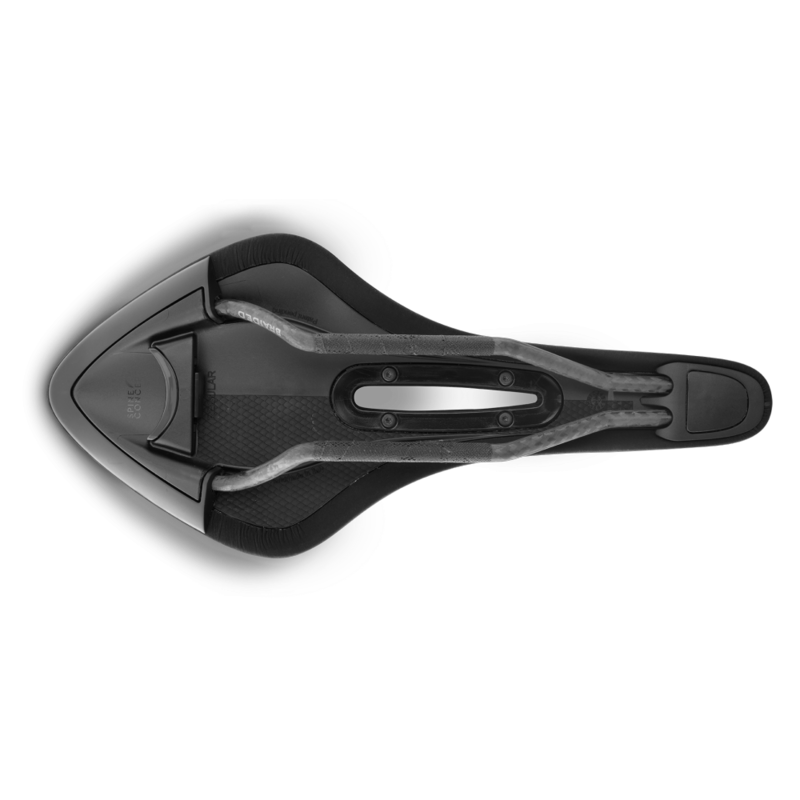 A Comfort Core foam layer beneath the neat, durable Microtex cover provides comfort, and is enhanced by the full anatomic cut-out which avoids pressure on the rider’s sensitive soft tissue and ensures that all weight is correctly supported across the whole surface of the saddle. 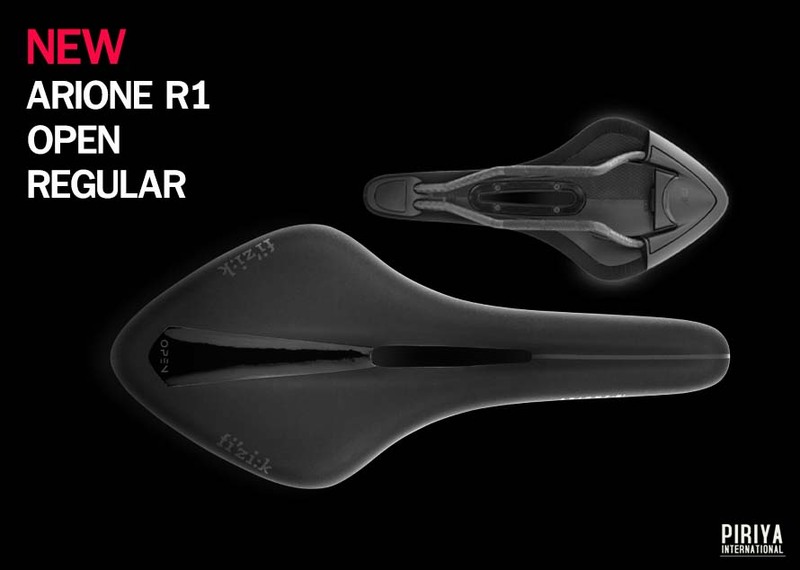 Like all performance fi’zi:k road saddles, Arione R1 Open is light, flexible and agile. It's designed for pros, with pros and raced by pros.With an anatomic cut-out shape and advanced technology, materials and craft, Arione R1 Open is a leading performance road saddle for riders who want a flat saddle profile and a cut-out to avoid pressure and numbness. Piriya International is Distributor And Wholesaler.